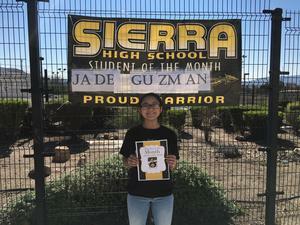 Jade Guzman is Sierra High Schools Warrior of the Month. Jade moved to Fillmore in October, she is a junior at Sierra High School and she is the ASB Secretary. After graduation, Jade would like to attend a community college and transfer to a four-year university. She would like to major in either chemistry, astronomy, human behavior, or animation for video game designing. Her hobbies include animation and science experiments. Jade has five siblings, one older sister, two younger brothers, and two younger sisters. When asked what she likes about Sierra High School, Jade stated, “I like the welcoming feeling and the positive vibes”. 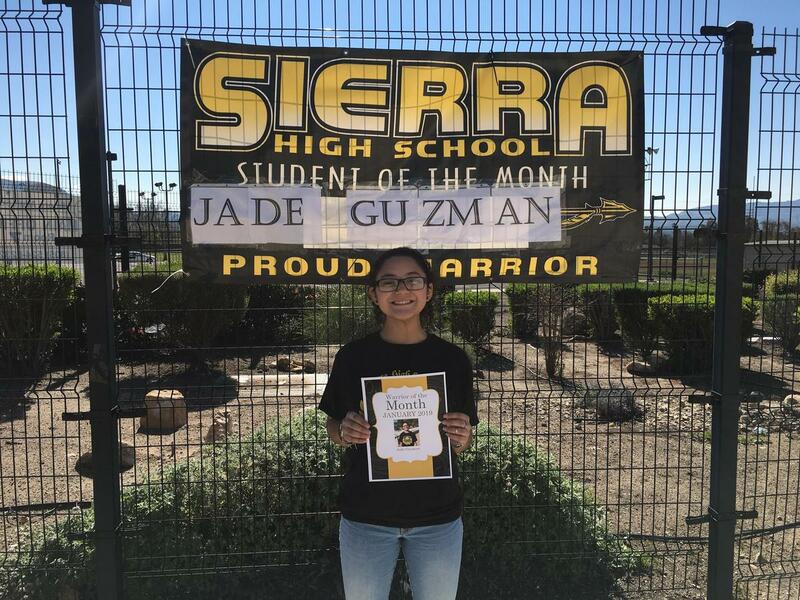 Congratulations Jade for being selected Sierra High Schools January Warrior of the Month.